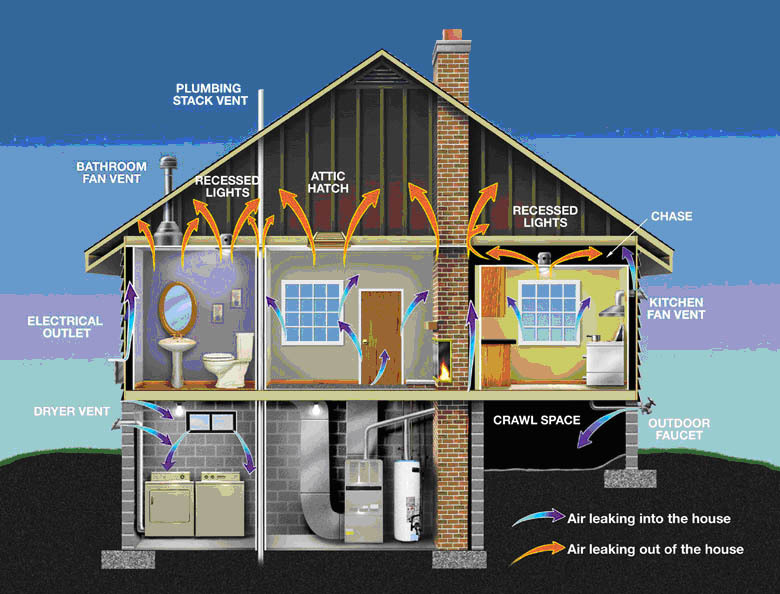 As colder weather finally arrives, it’s an obvious time to make your home more comfortable and energy efficient. The best investment you can make – in terms of “payback” or avoided heating costs, is this: Seal air leaks and add insulation. First, you want to stop warm air from moving up through the frame of the house and getting into the attic. This air movement is called the chimney effect. Sealing air spaces to prevent hot air from rising through your home is critically important. Sealing around drafty window frames, the foundation, and pipe entrances is also highly cost-effective. After air-sealing, you want to improve the R-value of your attic insulation. This is usually easy and quite inexpensive. Blowing insulation into poorly insulated or non-insulated walls is also recommended. State programs provide generous financial incentives to help get this work done. The first step, if you haven’t done it already, is a state program called Home Energy Solutions (HES). A video on this program can be viewed here. HES and HES- Income Eligible are Connecticut’s entry programs for low cost or no cost residential energy efficiency services. These services may include air sealing, duct sealing, lighting retrofits, and generous incentives for insulation. New this year past participants in Home Energy Solutions who received services more than 18 months ago are eligible to participate again. This is a great opportunity to tighten your home further or to take advantage of additional services and incentives you might have missed the first time around. For either of these programs, the Jonah Center recommends that you call our partner, New England Conservation Services, at 1-877-389-7077 to make an appointment. Mention that you were referred by the Jonah Center. If you would first like to discuss your situation with John Hall, just send a secure, private message to the Jonah Center (including your phone #) by clicking on the “Contact/Get Involved” tab at the top of this page.